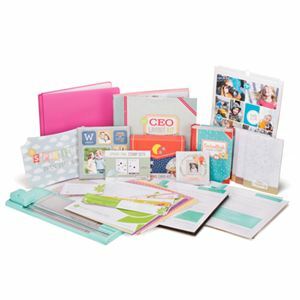 The Memory Keeping CEO Mega Pak includes CEO Training Materials, plus a collection of products from Heritage Makers, Our Memories for Life, and Anthology DIY by Lisa Bearnson. Note: Items are subject to change. Note: Heritage Makers products are pre-printed items. All items are subject to change. An AutoShip including Our Memories for Life™ products will occur monthly (price between $55 and $75) BV 35-50 QV 45-65.